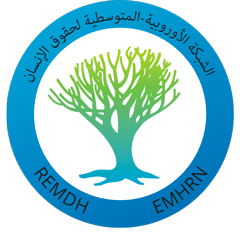 The Euro-Mediterranean Human Rights Network (EMHRN) strongly condemns the death sentences levelled against former Egyptian President Mohamed Morsi and about a hundred others in the same case. The verdict, pronounced on 16 May, is but the latest example illustrating both the increasing instrumentalisation of justice to eradicate any dissent and the repressive and draconian measures that the Egyptian authorities have taken since the overthrow of the former president in 2013. The Network reiterates its principled opposition to capital punishment and to any cruel, inhuman or degrading treatment, regardless of the circumstances, crime or identity of the accused. The Network also reminds the Egyptian authorities that legal proceedings can take place only following investigations by the defence and the prosecution. A verdict must be pronounced by an independent and impartial court that fully respects human rights, conditions that have never been met in these cases. The ICJ today expresses its grave concern regarding the draft Constitution and the constitutional referendum to be held on 15 December 2012 and 22 December 2012. The ICJ calls upon the Egyptian authorities to ensure the right of Egyptians to fully participate in the constitution-making process in pursuit of their democratic aspirations. In a new legal briefing paper, the ICJ analyses key provisions of Egypt’s draft Constitution in light of international human rights and rule of law standards. The ICJ expressed its grave concerns regarding the new Constitutional Declaration issued by President Mohamed Morsi on 22 November. The President’s unilateral imposition of a constitutional framework on the Egyptian people, under which Constitutional Declarations, decisions, laws and acts taken by the President are shielded from any judicial review, undermines basic rule of law principles.